The sudden overnight price increase of “Daraprim” (pyrimethamine), a drug that is used to treat a life-threatening parasitic infection, has left some infectious disease specialists outraged. Turing Pharmaceuticals, the company that acquired the drug in August of this year, increased the price of Daraprim from $13.50 to $750.00 per pill. This means that patients who take this drug could potentially spend hundreds of thousands of dollars per year for treatment. Daraprim is used to treat toxoplasmosis—a parasitic disease caused by Toxoplasma gondii. This foodborne infection commonly targets people with weakened immune systems, due to the effects of a disease or treatment, like AIDS or chemotherapy. It can be acquired by eating uncooked meat or drinking unclean water. Toxoplasmosis affects approximately 60 million people in the U.S. The drug has been on the market for the past 62 years. According to Dr. Judith Aberg, the chief of the division of infectious diseases at the Icahn School of Medicine at Mount Sinai, the “tremendous increase” could force some hospitals to use alternative therapies that might not be as effective. Turing Pharmaceuticals spokesman Craig Rothenberg told USA Today that the company plans to use the price hike to invest in research and make people more aware of the disease. He also claims Turing is working with hospitals to get every patient covered, including “free-of-charge” options for patients who are uninsured. 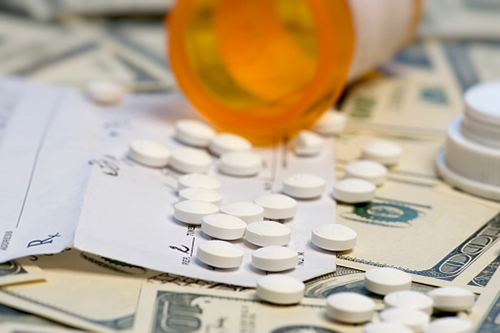 In a letter sent to Turing earlier this month, the HIV Medicine Association and the Infectious Diseases Society of America called the pyrimethamine price increase “unjustifiable” and “unsustainable” for the medically vulnerable and for the health care system as a whole. Pollack, A., “Drug Goes From $13.50 a Tablet to $750, Overnight,” The New York Times web site, September 20, 2015; http://www.nytimes.com/2015/09/21/business/a-huge-overnight-increase-in-a-drugs-price-raises-protests.html?_r=1.